We Stand FIRM: Hsieh Forbes Column: Who Decides What Medical Care You Receive At End of Life? Hsieh Forbes Column: Who Decides What Medical Care You Receive At End of Life? My latest Forbes column was posted yesterday, "Who Decides What Medical Care You Receive At End of Life?" 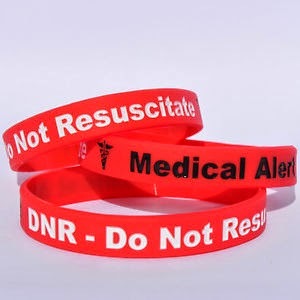 I discuss how some patients in the socialized medical systems of Canada and the UK have been put on DNR ("do not resuscitate") status without their knowledge or consent and how that ties to the current debate over government-funded end-of-life counseling here in the US. As I've said before: If you expect “somebody else” to pay for your health care, then “somebody else” will ultimately decide what care you may (or may not) receive. I also discuss how free-market reforms for health insurance can protect patient choice in end-of-life medical decision-making. And for some excellent practical advice on how patients can plan for such eventualities, check out this interview with Dr. William Dale by my wife Diana. Who's Paying For Health Care?